Mid-Life Cruising!!! : How Long Does It Take to Leave the Dock? How Long Does It Take to Leave the Dock? I was going to name this post, "How Long Does It Take To Become A Cruiser", but becoming a cruiser takes more than leaving the dock. After all, I can't imagine that Ken and I will leave the dock for our first passage South and officially label ourselves as "cruisers". Without much sailing experience, we'll have so much to learn. But then again ... perhaps I should have gone with that title because leaving the dock is probably one of the hardest parts of becoming a cruiser. After all, pulling one's self out of the depths of society's "success" to the surface of a cruiser's freedom requires a lot of planning, discipline and patience. The dream is planted, it grows, we feed it, and we sometimes neglect it. We never give up, and the dream continues to pull us through. We slowly cut the anchors that weigh us down ... we get closer to the surface. Ken and I first got the idea of cruising back in the Summer of 2009, after a vacation in Hawaii. Before the year's end, we purchased Nirvana and have been working towards making her our home ever since then. I swear sometimes it seems we've been working towards cruising forever, and sometimes I can't believe we're closing in on six years! In the beginning, we were naive enough to think that we'd be cruising by now. What were we thinking?! We're pretty realistic, logical people so how did we underestimate the time it takes to leave the dock? For starters, we had no idea how long it would take to sell our house. We also didn't wanna think about how difficult it would be to pay off all debt, purchase stuff for the boat AND make repairs to the boat ... all while working full-time and avoiding new debt! Then there's life itself ... stress, illness and even injuries. Family, friends and a bit of fun are squeezed in to keep our sanity. I think we all have these similar challenges, but I wondered what the average length of time is from the beginning of the dream until reality. 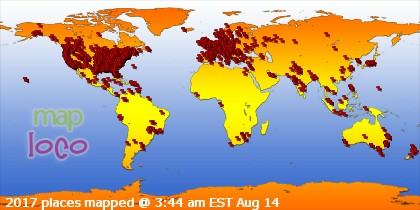 Were we in the average? Of course, there are those folks that don't quite fit in the mix. There are those that didn't get "bitten by the bug" until they retired (ignorance is bliss, I say). By the time they came up with the idea, they were already at the stage in their lives to make the transition an easy one. Then there are those that got the idea early in life before kids, cars and a house. I don't call them "lucky", as we wouldn't trade the years raising our daughter in our house for anything. But, cruising before having any responsibilities sure makes things easier. Finally, there are those that are financially set for one reason or another. These are the lucky folks that have enough money to get the idea, buy a boat, and sail off in a matter of months. Nirvana before leaving the dock .. to the boatyard. We definitely don't fit in any of the above categories, but we figure that most people don't. 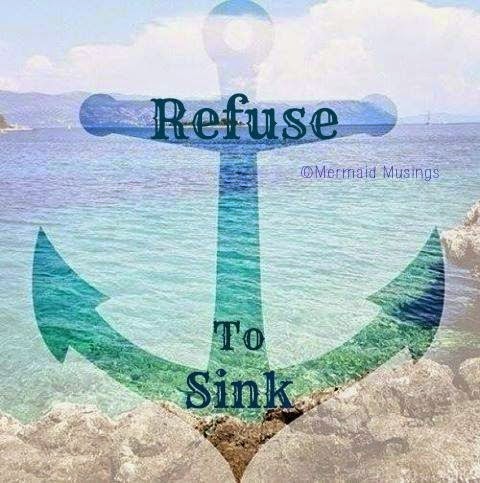 While I sometimes have a pity party and feel like we have more than the average amount of "anchors" to cut loose, I know that most folks have their challenges as well. So, I figured I'd take a little survey on our "Facebook" page, and ask folks like you to tell me how long the dream took to become reality. I wanted to hear from those who are already cruising, but also those working towards cruising. I had a good response, and as I figured ... we're right in the average. 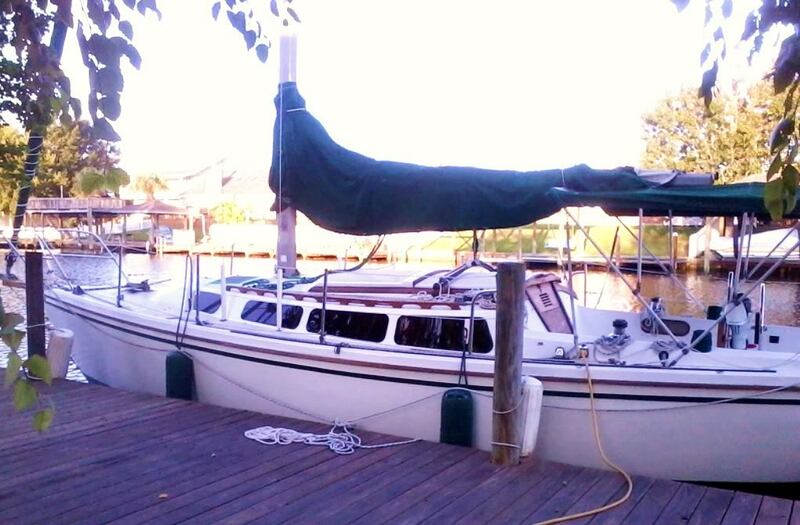 We plan to leave within a year, which will put us just past six years from buying the boat, and about 6.5 years from the time we got bitten by the bug. Most folks seem to take at least 3 - 6 years, some over a decade. There was one guy that only took 4 months. but he was the only one that took less than a number in years .. he's a very lucky man. Anyway, I thought my little survey was interesting and I really appreciate all the great stories and feedback. If you're like us and still swimming towards the surface, let this be an inspiration and reminder that you're not alone. Once we break through the surface to "freedom", we will become cruisers. While we've grown in so many ways since adulthood, I'm sure that we will grow in even more ways than we can imagine. That's what it's all about, right? Such an interesting post! I'm not sure how to classify ourselves - we did our downsizing / prep then went full-time on our boat for four months in New Zealand, but now we're between boats so I guess we're back to being wannabes. Hopefully we find our next boat soon so we can get back out on the water. 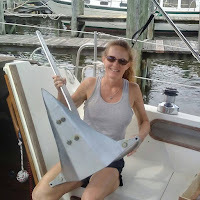 Hi Cheryl @ Ken, good post, you two have been part of my cruising motivation for many years, and look forward to the day you set sail. I think it is optimism that creates the date till cruising in our minds. There is nothing wrong with being optimistic. My plan to be cruising in "two years" has been happening for too many years now. At last I am counting down that two year timer now, I have told my boss that I will not be resigning my contract and heading off September 2016. Hope to see you on the water some time. After reading this I had to look back at the beginning of my blog to get an idea of how long it has been. My first post was March of 2012, so the plan probably started around December of 2011. I guess we are a little more than 3 years into it. Bought the boat in December of 2013, I moved aboard to work on it late that month. I don't really know which bar that needs to be hurdled is the one that would classify me as a cruiser. My wife and dogs should be joining me full time on the boat in the near future while our house is for sale. We will begin more traveling with the boat then, but still have some major projects to complete before the boat is as self-sufficient as I would like. So, I guess the how long question all depends on where you draw the lines. I've adopted the more cruiser-centered mentality about plans and don't really set dates for things anymore. We will push along as best we can and hopefully slowly transition to more exploration and less (than near 100% of the time anyway) boat work. Duff .. you're alive! Great to hear from you. I'm glad you're still working on the dream as well. Two years do seem to stretch into more don't they? Congrats on telling the boss that you're leaving! Thanks for still hanging with us. Mike, I think that adopting the "cruiser mentality" puts us both half-way there. Sounds like you're well on your way with already living on the boat. Best of luck on selling the house soon! Ellen, to me a "cruiser" is exactly what you are. A break every now and then doesn't matter .. it's the freedom! Good luck on your new boat .. I've been following your journey. Claudia, glad to hear from you and thanks for following us on this looong journey! Congrats on the boat .. I think that was a huge step for us in making it "real". Saw your comment on AIS shipping app. Save your money and invest in an onboard AIS instrument (Vesper Marine offers several devices). I'm in favor of discrete instruments as opposed to integrated systems. With discrete instrumentation, you can lose one instrument and still have all the other data from the other discrete instruments. There is an advantage to integrating them, either via hard wiring or wireless networks.